The emergence of sophisticated digital cameras has brought significant changes in the photography industry. The growing popularity of digital camera is slowly erasing people’s memory of the old classic cameras. Polaroid, the once-upon-a-time popular instant camera in the 1950s- 80s, is one example. Many people especially youngsters nowadays might not know what the Polaroid instant camera is all about. Furthermore, the discontinuation of the actual manufacturer, Polaroid Corporation, from producing the film in the early 2008, has slowly made this camera becoming less distinct in people’s memories. If you miss the great fun brought by Polaroid during your old days, or perhaps you saw your parent’s old photos and want to replicate the so called Polaroid experience, Poladroid, a Polaroid simulator can perhaps be of help. Poladroid is a free application that lets you virtually enjoy the same experience while using the Polaroid instant camera. It is a simple and user-friendly program. 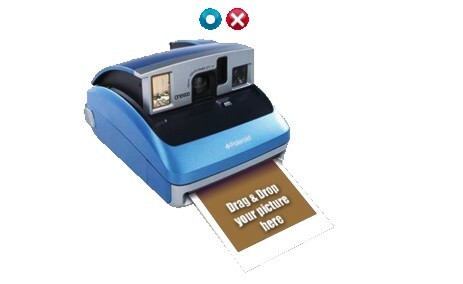 Once it is installed and launched, users will find a Polaroid graphic appearing on the computer screen. Users can drag and drop any existing image onto it. The virtual Polaroid will process and produce a Polaroid instant photo on the screen. 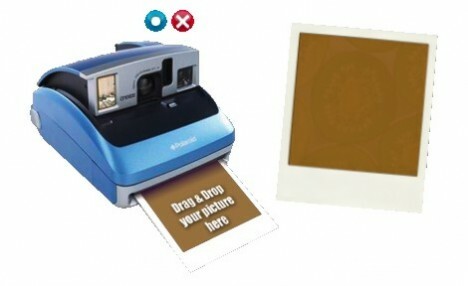 Users have to wait a few minutes for the image to slowly appear on the Polaroid film. 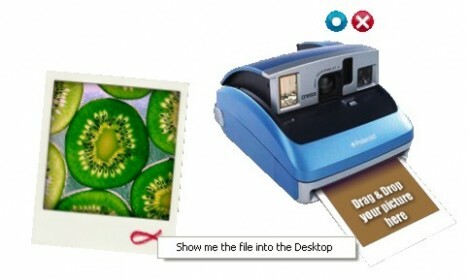 Like handling a real Polaroid film, users can click on the file and shake it with the mouse vigorously so that the image will develop faster. Users can right click the image, then click on to “Show me the file to the Desktop” to save the image into the default folder. The image is in high resolution and it is ready to be printed with a Polaroid design. 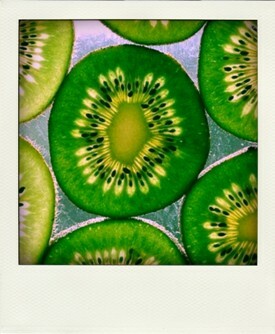 The Poladroid application allows users to hold a maximum of ten photos at a time. Users need to restart the process if they have more than ten photos.